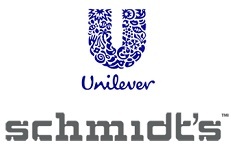 FMCG giant Unilever has announced that it has reached an agreement to acquire US based personal care company Schmidt’s Naturals for an undisclosed sum. Schmidt’s Naturals is an Oregon-based company that produces personal care products such as deodorant, bar soap and toothpaste. According to a Unilever press release, Schmidt’s Naturals aims to make natural products accessible to everyone and produces award-winning deodorant formulas derived from plants and minerals. “Schmidt’s Naturals is a strong, innovative brand in the fast-growing natural category, and nicely complements our existing portfolio of US deodorants which includes leading brands Degree, Axe and Dove”, said Kees Kruythoff, president of Unilever North America. Alan Jope, president of Unilever personal care, added: “Schmidt’s Naturals is a great strategic fit for our personal care business, allowing us to reach new consumers who prefer natural options. We look forward to utilizing our personal care leadership to extend Schmidt’s Naturals into new sales channels and geographies”. The deal follows rival P&G’s move into the ‘natural deodorant’ space in November with the acquisition of Native Deodorant for a reported $100 million.